In the night skies near his Muncie, Indiana, home, power repairman Roy Neary experiences something out of this world. His close encounter sets into action an amazing chain of events that leads to contact with benevolent aliens and their Mothership. Both Blu-ray and 4K Ultra HD releases include all three restored versions of the film, including the 1977 theatrical version, the 1980 Special Edition and the 1997 Director's Cut. 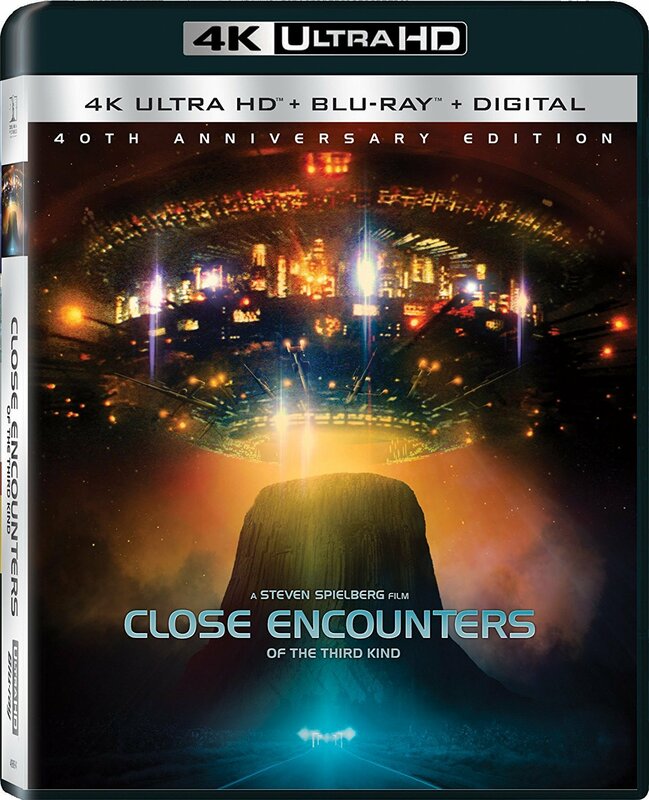 Close Encounters of the Third Kind is presented with an all-new 4K restoration, fully restored from the 35mm original camera negative, thereby utilizing in 4K the full resolution, detail and color depth inherent in the film. 4K Blu-ray brings the full power of this restoration into the home, featuring four times the resolution of high definition, high dynamic range (HDR)--which produces brilliant highlights, vibrant colors and greater contrast on compatible displays. The Blu-ray will also utilize this new restoration at HD resolution. Both 4K Blu-ray and Blu-ray versions will feature all three versions of the movie and the original restored 5.1 DTS-HD Master Audio.